Day one was all about Contribution at ISCTE. Let’s just say my first day didn’t get off to a great start. It took me over 30 minutes to find the entrance to the University, where the event was taking place, and I wasn’t the only one. It also didn’t help that it was raining, but luckily I had my umbrella (being British I never leave the house without it). Once I found the place, I realised I’d left my adapter at home, so I headed out to get one. Luckily, there was a shop nearby. Along with my purchase, I headed back to help with contributing to some of the Drupal innanatives. There, I met Ruben Teijeiro, who introduced me to several people and how to get started. I really wanted to contribute to the Frontend space, especially to the new admin UI. Setting up wasn’t the easiest (which I expected), as I use Windows for all my development. There I also met Christophe Jossart, a long time contributor to Drupal, who tried to help me with setting up the site on my machine, but to no avail. By the end of the day with the help of installing WSL on my machine, I had managed to install the site, get it up and running, only then to be served with several errors, by which time I had called it a day. It might sound like all doom and gloom, but I made a lot of progress made throughout the day. The first keynote session of the week was given by Bojan Zivanovic. He spoke about the evolution of Drupal (version 7 to 8) and how Drupal has made several changes to Core using modern practices, making it a much better framework. One interesting part was the adaption of Drupal 8, which was a plus (40%), and the loss of Drupal 7 sites (11%), however, by putting them together Drupal actually lost over 35,000 sites in the last year. There were several reasons as to why this could be the case, including time spent installing Drupal and setting up the development environment, especially for those on Windows (like me :sigh:). It all relies on the community to help and improve what is already there, to make it easier for both new and current users. “Sometimes our Drupal websites end up looking like this.” - Bojan Zivanovic (in reference to the above image). Another session I attended was a comparison of the top GDPR modules and how you can make your Drupal site GDPR compliant. The talk covered many aspects - from rights of the user to form checking and security. It was apparent that there are several modules that help do this, so having a short list of the best ones made it easier. It also became apparent that to become compliant, you require more than one module. One thing that came out of this session, which I totally agree with, was that site security was often neglected in the past but is now at the forefront of all sites. This session, given by Chandeep Khosa, was the last one I attended and was the highlight of the day for me. Adding features to the Drupal like Admin Toolbar, like a theme module to make it look nice, or even add help text, may sound rudimentary, but how many actually do so and make use of it? (No, really?) Most content editors are not used to the Drupal admin like developers are, so it was nice to hear what we can do to make it easier for them. One specific module I found very interesting was the tour module, which provides guided tours of the site interface via tooltips, something available in core today. I didn’t even know this existed. One thing I took away from this was that if you don’t need it, hide it, why show something to users that don’t get used? 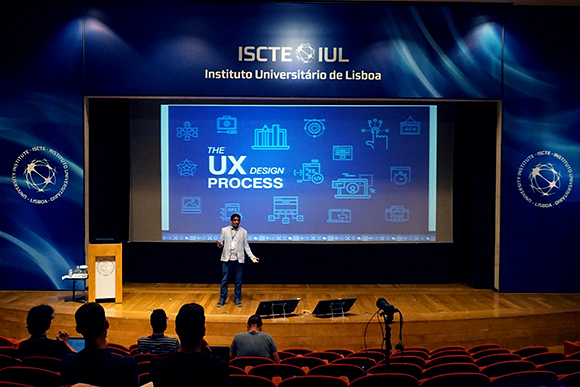 Part 2 of my Drupal Dev Days Lisbon 2018 Recap will follow soon. Thanks for reading. So this is the way you can get the free credit card number online when you want the credit cards.